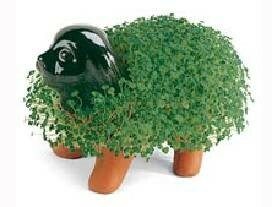 Chia Pets Poops are the best! Laugh all you want but bowel health is an important topic (and a favourite amongst nutritionists!). 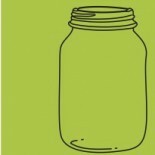 Proper and regular elimination is crucial for optimal health and good mood! Without proper elimination toxins build up in our system, and things like cholesterol and estrogen are recycled increasing our likelihood of suffering from all sorts of ailments from PMS, gas, and bloating to cancer and serious inflammatory conditions. There are many factors that contribute to bowel health (there have been whole books written about the subject!) but FIBER is one of the big ones. Ideally we want to get at least 30g of fiber in our diet daily. A diet full of fruit, whole grains and vegetables will certainly contribute to that total but it can be difficult to get a sufficient dose of fiber each and every day. That’s why I like chia seeds. With a few tablespoons a day I can boost my fiber count and get a load of awesome nutrients at the same time. got a bag of organic chia seeds for 6.99 today! This entry was posted on May 22, 2012 by katelivingfull in Nutritional info and tagged chia seeds, disease bacteria.